A synthetic chamois providing the best possible absorption in the most safest and gentlest way to dry and polish fine finished surfaces. Production time: Usually 50-55 Working days after artwork approval. 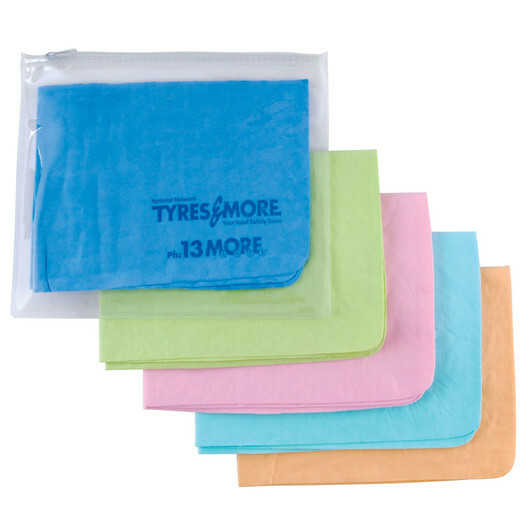 This professional synthetic pre-wet chamois can safely remove dust, water droplets, and micro particles without scratching your car windows and paint. 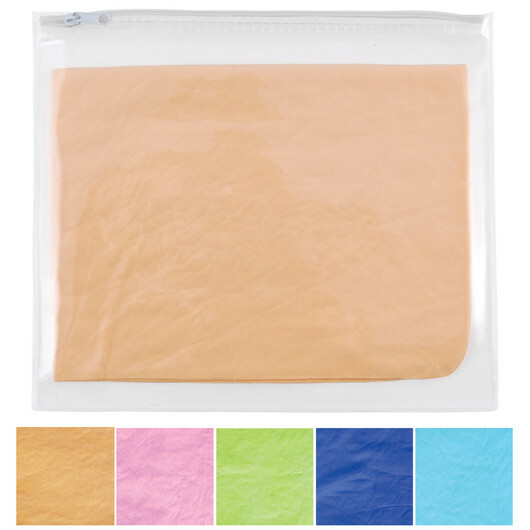 It has rounded corners and cello bagged in clear PVC pouch, easy to clean and feels comfortable on your hands. Your debossed logo on chamois with option of 1 colour print on pouch. Ideal for cleaning tasks in the home, garage, office and more. Economic and useful for daily use.